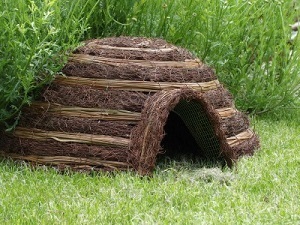 Here you can browse our range of hedgehog houses and habitats as well as hedgehog care packs which are ideal for creating the perfect environment for hedgehogs to set up home in your back garden. With the diminishing population of hedgehogs, they need our help to increase their numbers and what better way than to provide them with a hedgehog house? Hedgehogs will be looking for a safe place to hibernate for the winter towards the end of the summer and into Autumn as they usually hibernate from October/November through to March/April.